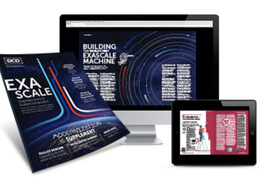 There is no one-size-fits-all data center business. What your company does will ultimately depend on what the business opportunities are in your location, and in your market sector - and this may create data center providers that are very different to each other. Greece’s Lamda Hellix is a case in point. Created from the fall-out of the telecoms crash of 2001, it has had to think fast, and keep refocusing to handle changes in the tech world, the Greek business climate and the regional digital ecosystem. 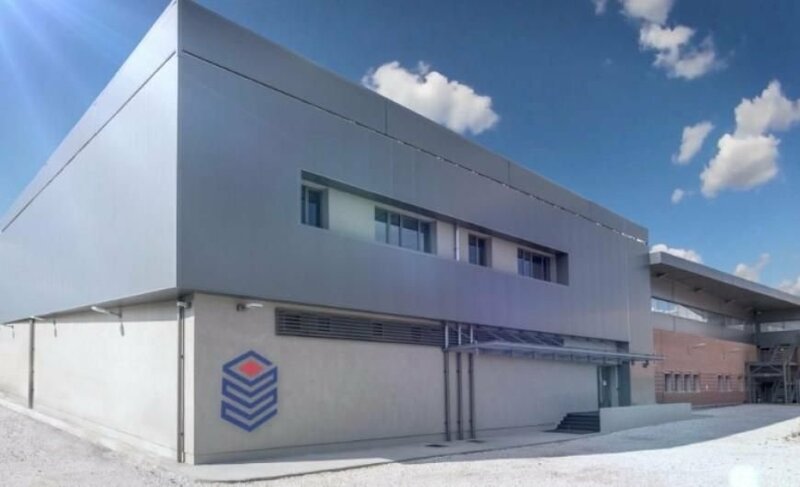 This year, the company expanded its Athens 2 data center with an extra 1MW, and announced it had passed the Uptime Tier III reliability certification, while the company celebrated fifteen years in the business. Founder Apostolos Kakkos has worked to develop an international tech business in Greece, and also made time to co-found the European Data Centre Association. We met him in his Athens-2 flagship data center, joining the reception to celebrate Lamda Hellix’s anniversary. He unfolded a fascinating tale of flexibility and a drive to make Greece a significant tech center for South West Europe, with or without the help of major international fiber links. 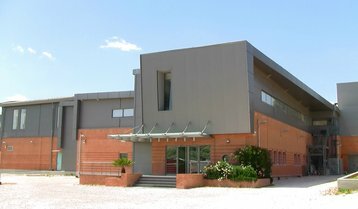 The company’s Athens 1 facility, close to Athens airport, was not originally built as a data center. It was originally planned in the late 1990s by Tyco Global Networks, as a cable landing station for a major international cable which, Kakkos says, would have turned Greece into a major communications hub. The idea was disruptive, but there was a problem: “At the time, there were no over-the-top services. The Facebooks, and the Netflixes did not exist.” These nascent international cable operators couldn’t make a profit, and in 2001 the network roll-out stalled, leaving redundant capacity on some routes, and other planned links unbuilt. 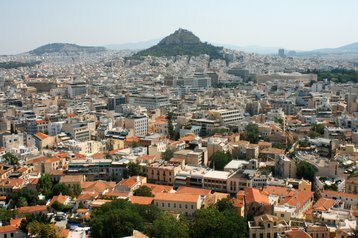 Athens now relies on the Telecom Italia’s MedNautilus network, a fiber ring with a total design transmission capacity of 3.84Tbps on six fiber pairs, and Tyco’s planned landing station was put on the market cheaply. At this point, Kakkos stepped in, seeing the potential for a building with this location and its connections into Greece’s existing data and power networks. Lamda Hellix was founded in 2002, quickly bought the Tyco landing station and in 2003 opened a data center there - a pioneering move in Greece at the time. “We are the first and only 100 percent neutral provider in Greece,” says Kakkos. “When we started in September 2003, our aim was to address the local market.” A lot of its customers are international firms and service providers with a presence in Greece, he says. 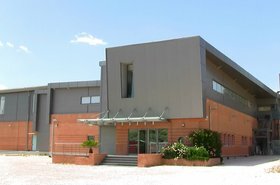 It took 12 years before the company opened its second facility, Athens 2, built on the same site, and sharing a lot of infrastructure with Athens 1. That sounds like a long time, but the intervening years were eventful - both for Greece and for Lamda Hellix. The building was not designed for raised floors, so these had to be installed - with a step up and a well by each of the doors. Power and cooling systems had to be sited the whole set-up gained an enviable efficiency rating. “We wanted to have our own center of excellence, in order to construct and design facilities as good as Equinix or Interxion, without spending so much money,” he says. 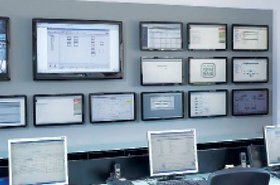 The company had some of the earliest Uptime-accredited engineers in Europe. Of necessity, their expertise is somewhat specialized: “Our expertise is 10 to 15MW data centers, not 50 to 100MW. 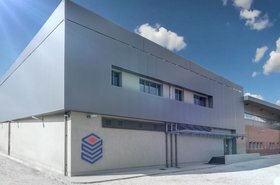 We aren’t in Northern Virginia - we are in Greece.” The facility began to offer colocation for large Greek enterprises, and multinationals with business located there. The site also offers disaster recovery, with desks equipped with PCs, ready for displaced office staff. But as customers moved in, they also started to create business elsewhere for Lamda Hellix. Disaster recovery customers began to ask about problems with their on-premises data centers. One customer had a data center which was over-heating. Its cooling supplier suggested using more CRACs to keep the temperature down, but the customer did not trust this suggestion. 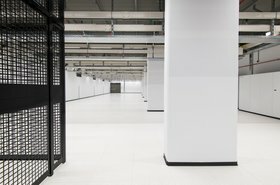 Lamda Hellix moved the whole data center out of the building, raised the floors and put it all back. From this project, the company launched Lamda Hellix Data Center Integration and Consulting Services, which has carried out projects in ten countries, including Ukraine, Malta, Cyprus, Abu Dhabi and the United Arab Emirates. Meanwhile, the company added services in its own data centers: it now has a multi-homing IP service, hardware as a service and hybrid cloud: “We are quite diversified in different services. So far it’s gone well." All this kept Lamda Hellix growing through the Greek Depression, which began in 2009, in the aftermath of the global financial crisis of 2007-2008. Indeed, some aspects of the crisis enabled Lamda Hellix to help Greek businesses who wanted to export services but found it difficult to use cloud providers hosted abroad, such as Amazon Web Services (AWS) and Microsoft Azure, because of government restrictions on currency movement. 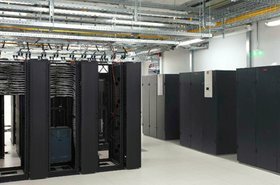 Hosting at a Greek data center allowed Greek companies to access world markets, while paying a local provider in Euros. Some Greek companies actually moved services back from abroad into Lamda Hellix. Finally, in 2014, the 3MW Athens 1 was full, and it was time to start a new facility. The project for Athens 2 got under way. But once again, the economy threw in some surprises. By 2014, it seemed Greece had stabilized, and the company went ahead and built, arranging a launch party for June 2015. “It was a Tuesday,” Kakkos remembers. “I thought there would be not many people. We invited lots of people from politics because this was international. It was infrastructure for Greece, for South West Europe.” Kakkos invited everyone including people from the Chinese embassy - but he didn’t expect many to show up for a data center opening. There had been a snap election in January 2015, and the EU bailout was extended. The Tsipras government was expected to agree new payment terms, but the EU rejected their proposals twice. Just before the Lamda Hellix launch, talks broke down, and the government announced a referendum on the EU proposal. On Monday, the day before the launch, the banks closed for a month. “It wasn’t the optimum time for the opening of a data center,” says Kakkos, with a grin. But in those circumstances, the launch was well attended, the opening went ahead, and Athens 2 is now filling up and expanding according to plan. Given the market dynamics, Lamda Hellix is bringing capacity on stream in phases, starting with 500kW and scaling up to a present capacity of around 3MW, with a full capacity of 6MW planned for a couple of years’ time. Both Athens 1 and 2 are two-story facilities, and Kakkos points to some specific enhancements. Lamda Hellix uses two fire suppression systems, with the Inergen inert gas system backed up by a water mist system designed for deployment in a real emergency. The water mist is designed to minimize problems with the technology, but its priority is to keep the people in the facility safe. Its work for other clients also gets noticed. He mentions a few names, including Khazna of the United Arab Emirates, and a modular build for Greek research network GRnet that also won an award. In future, Kakkos hopes that the relaxation of capital controls by the Greek government will enable greater growth in the country’s economy. If that happens, Kakkos already has plans for Athens 3.